We offer premium quality Cashew Nut Boiler that have a capacity of boiling around 40 Kgs to 500 Kg cashew nuts .They play a multi-purpose role as they can be used with variety of fuels like wood, kerosene, coal, shells of cashew nuts. 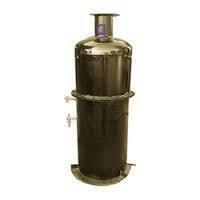 The quality of our boilers is that the steam is not only generated but evenly generated. The fire tube that is installed within the boiler consumes less fuel which results in higher productivity. 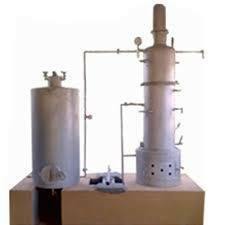 Steam formation or generation takes place quickly, because of the peculiar shape of boiler. 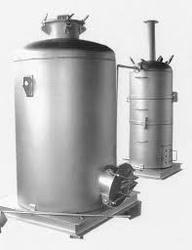 Steam so generated is circulated in vessel evenly. Hence, all cashew nuts are boiled evenly. Any kind of fuel such as electricity, wood, coal, kerosene, gas, diesel, shells of cashew nuts can be used for this machine. We are a unique entity in the market, actively committed to offering an optimum range of Automatic Cashew Nut Boiler which is used to boil the cashew nuts evenly. We are a unique entity in the market, actively committed to offering an optimum range of Cashew Nut Boiler which is used to boil the cashew nuts evenly. We are a unique entity in the market, actively committed to offering an optimum range of Cashew Steam Cooker which is used to boil the cashew nuts evenly. Looking for Cashew Nut Boiler ?